First time homebuyer seminars differ from housing counseling in that they are shorter (1-3 hours) information sessions that offer a general overview of the home buying process. These seminars are usually offered by real estate brokers or lenders. 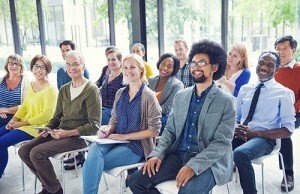 If you are looking to attend a session, contact local real estate offices and ask if they host these types of events. The State of Maryland’s Community Outreach Division also participates in events pertaining to home buying, foreclosure prevention, and community opportunities. A list of their events can be found on the Maryland HOPE Events and Outreach Calendar. Contact local real estate offices and ask if they host buyer seminars.